Victorian vests featured luxurious fabrics and were decorated with colorful silk embroidery. 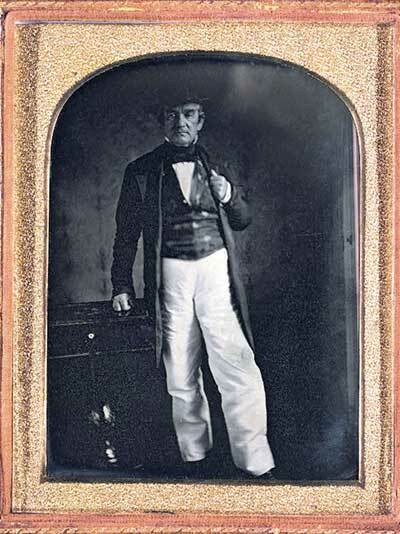 During the mid-19th century, gentlemen’s waistcoats or vests had a tendency to feature luxurious fabrics such as silk brocade or velvet, and at times were even decorated with colorful silk embroidery. 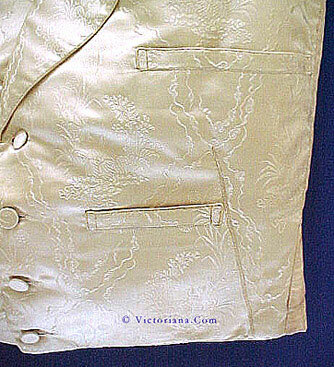 The more elaborate examples of these Victorian men’s vests were often kept even after they went out of fashion either for their decorative appearance or sometimes for their sentimental value. Many young brides crafted special waistcoats for their groom; as a result many of these garments were preserved within the family. 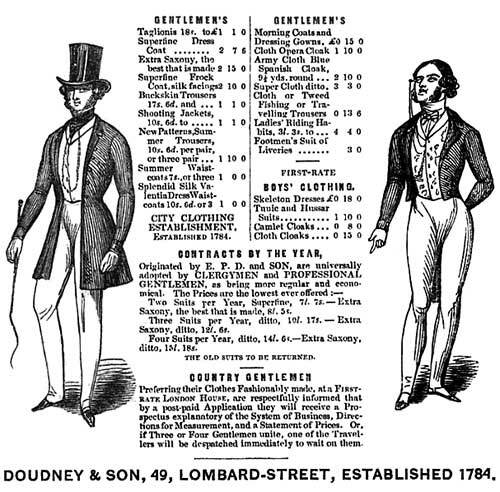 Women’s fashion and needlework magazines often included patterns and designs for men’s vests. 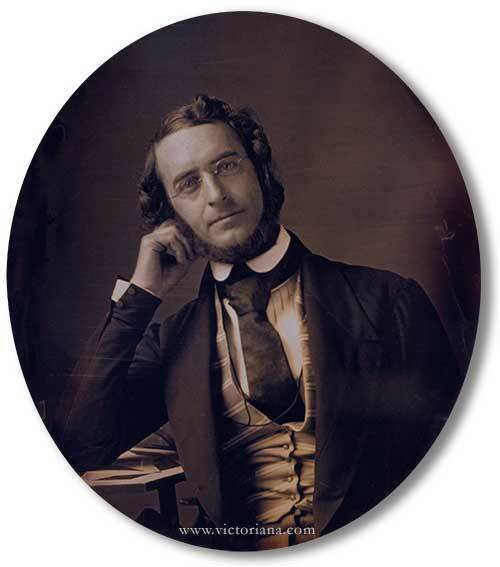 Colorful silk thread or cording were used to decorate the Victorian waistcoat. 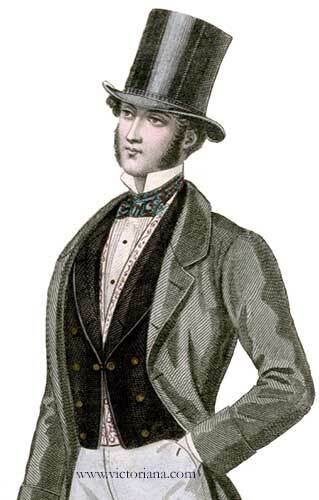 In the 1850s, it was also popular to wear two vests as shown in the fashion print below. This 1854 print features a velvet waistcoat with brass buttons worn on top of an embroidered silk vest. 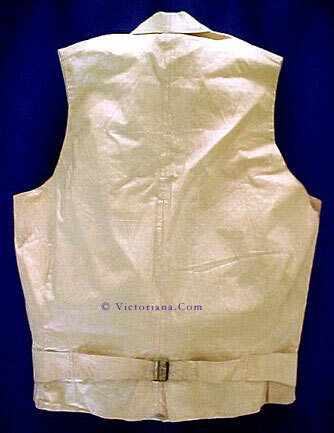 Shown below is a wonderful mid-19th century hand sewn gentleman’s silk ivory damask weave waistcoat. 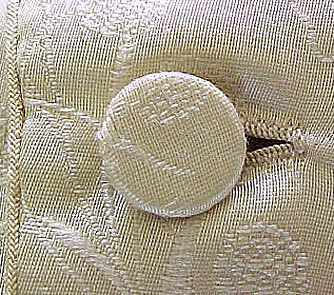 The four wood buttons are covered with matching fabric. There are three front slit pockets. 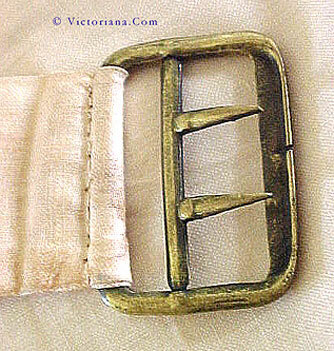 There is a back belt with a brass buckle. 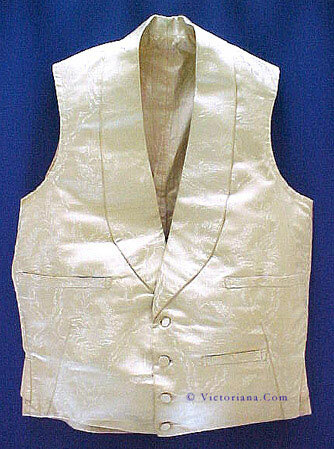 The waistcoat is lined in ivory cotton. 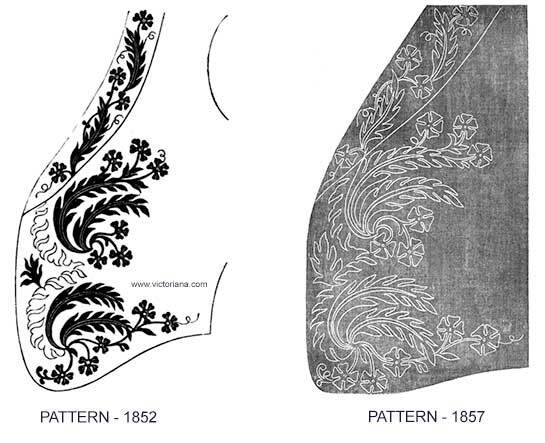 The 1855 fashion print below features a similar ivory silk Victorian vest with an embroidered edging bordering the front opening. The art of wearing a top hat. Stylish pair of men’s leather vintage shoes. Smoking jackets were the indoor outfit of a "howling swell." 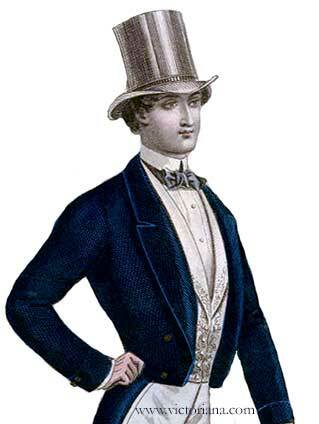 Victorian gentlemen followed rules and protocols for proper dressing. Top hats for the stylish gentleman.